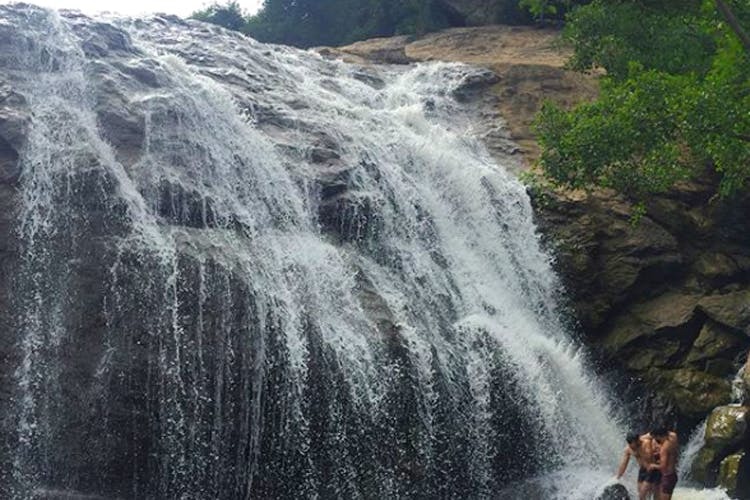 The falls are technically within Bangalore City (okay, rural) limits and relatively close (depending on where in town you live), and is less frequented due the narrow roads to the location. Off Kanakpura Road beyond the Art Of Living Ashram, the falls are quite a sight to behold after a few days of rain. As they’re not frequented, there’s not too much space for parking cars and larger vehicles close to the falls itself, but there’s a temple nearby with ample space for parking. Parking is free, but you might find a few enterprising locals charging for parking, so carry your cycles or ditch the car altogether (and go by bike). The falls are around 100m high and have a path to scale them on the right side (which we do not recommend unless you’ve already been there a few times and are familiar with the route). However, do take the trail to get to the top for the view, or down below to catch a sight of the falls in its splendour. While there are no signs or warnings about, we would definitely suggest that you enjoy the falls without actually getting into the water no matter how tempting it looks as the water is deep, turbulent and much more powerful than it looks. The space absolutely insta worthy with all its untamed, wild, and natural beauty, but do exercise caution while capturing that perfect picture. As it's not publicised or promoted in anyway online or otherwise, there's no way of knowing if you'll be allowed to the location or not. There's a chance that you might be turned away upon arrival, so check with people who've travelled there recently before planning a visit.